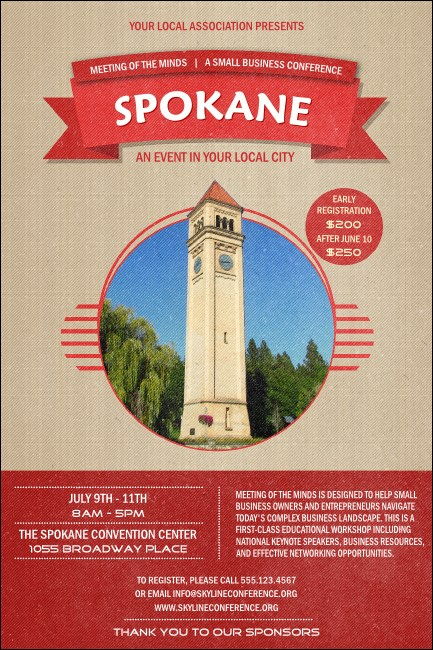 Promote your concert, fundraiser, or conference in the Inland Empire with the Spokane Poster. The bold red colors and Clocktower in the middle will help your event stand out from the rest. Include it in the Matching Event Kit for a unique, coordinated package your guests will remember.